Wow! This is really good. Sort of sweet, sort of spicy, chilled, and blended perfectly. 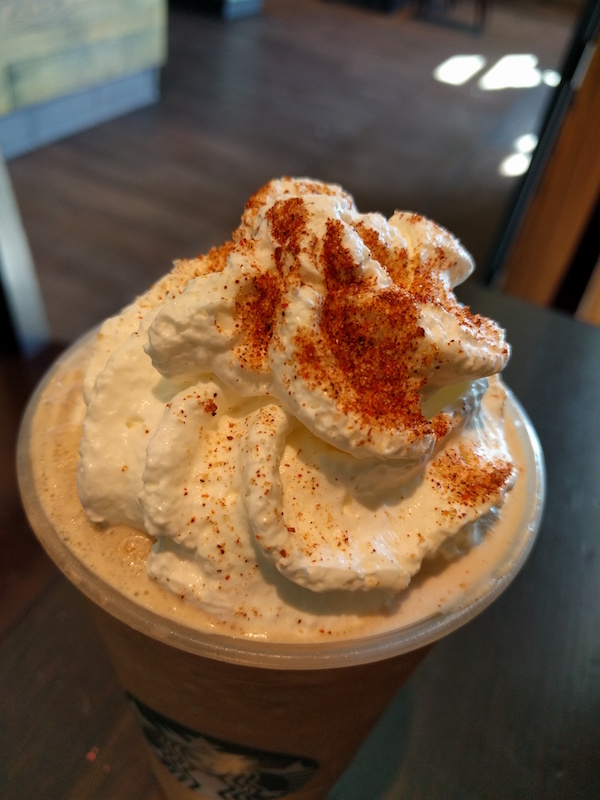 It's not as spicy as a Mexican hot chocolate, but it's pretty hot once you mix in the chile powder sitting on the top. 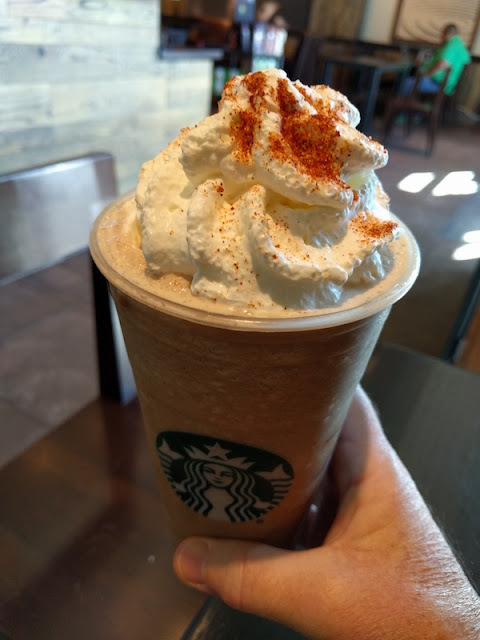 And since I got to use my free stars reward, the barista gave me an extra shot, too. Nice! This cooled me off and kept me going all afternoon. The Starbucks Chile Mocha Frappuccino might not to be around forever, so check its availability at the Starbucks web site.